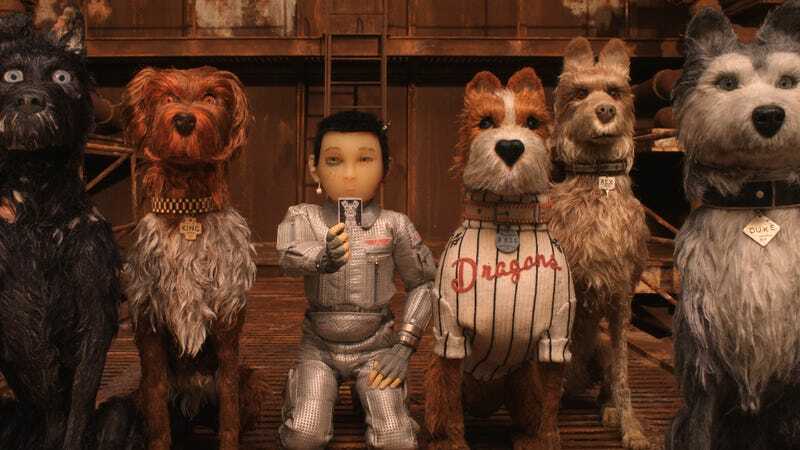 Wes Anderson is headed back to stop-motion with his latest animated wonder, Isle Of Dogs, set to hit theaters on March 28. Anderson’s intricately choreographed follow-up to 2014's The Grand Budapest Hotel, the film tells the story of a young boy (Koyu Rankin) who travels to the canine island in order to recover his quarantined pooch. Bryan Cranston, Ed Norton, Bob Balaban, and Bill Murray co-star as members of a pack of dogs who help young Atari on his quest, presumably encountering—this being a Wes Anderson film and all—a lot of entertainingly rambling dialogue, some well-centered cinematic shots, and, of course, a whole lot of violence against dogs. Anderson fans in the Windy City are in luck, though; we’ve got some free advance screening tickets for a showing of the film, scheduled for March 26 at the Landmark Century Centre Cinema (2828 N. Clark). You can head here to sign in and get your passes for the 7:00 p.m. showing, but be sure to get there early; seating for these advanced screenings is on a first-come, first served basis, and it’s a dog-eat-dog world out there.